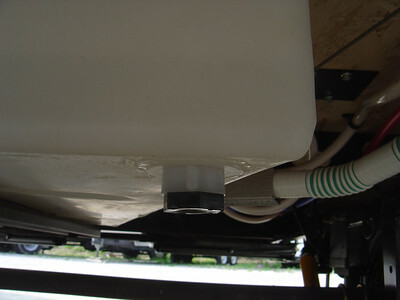 To drain the fresh water tank I had to crawl under the trailer and loosen the plug. With this mod, I can just turn the value on and if necessary direct the flow with a hose. 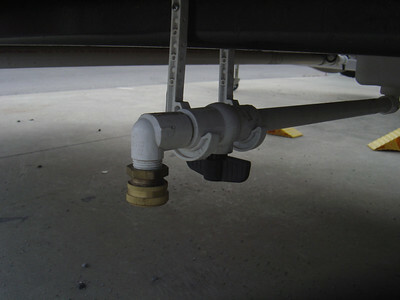 The orginal drain plug. I needed a large spanner to pull it loose. 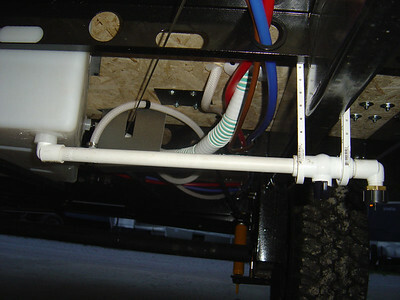 I removed the plug and added two elbows, a valve and a section of PVC pipe. 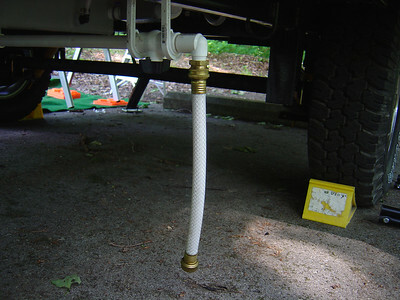 This is a close up of the valve, I added a brass fitting to which you can either have a cap (as shown) of a garden hose. This is the end with a section of hose. You can either drain unto the ground or into a blue tote.